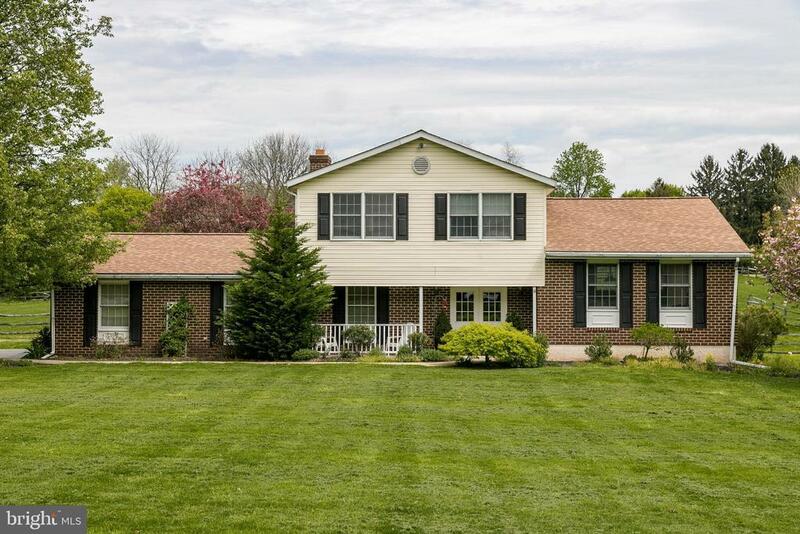 Spectacular home on Patience Lane in Owen J. Roberts School District. A three-acre farmette and residence, where no expense has been spared. Upon entering you will be impressed with the spaciouslayout, new floors, and paint throughout. On the main floor you will find one bedroom, a large family room with fireplace, powder room, laundry room, and attached two car garage. The main level has been completely gutted and rebuilt. The kitchen has high end finishes; with an over sized island, custom built cabinetry, new appliances, and sliders leading to the deck in the rear. Infused with loads of natural light the kitchen offers a completely open view of the living room. Upstairs youll find a second bedroom, as well as guest bath, and a master suite. The master suite is over sized and comes complete with custom built shower, vanity, and huge walk-in master closet. Stunning views overlooking the barn and three fenced pastures. The barn features four horse stalls, three fenced pastures, running water and electric, a large tack room, two lofts, and a wide center aisle. The post and rail fence pasture area is suited for rotation. This location has easy access to routes 422, 100, and 23. You will not be disapoointed!